Thanks to poor forward planning skills, our family suffers a quadruple whammy at this time of year. As soon as all the kerfuffle of Christmas and New Year is over, it’s our daughter’s birthday, and then, just a week later, my husband’s. I spent the first few days of the year creating a winter wonderland birthday party fit for a nine-year-old. Then it was time to turn my attention towards my husband’s big day. He’d just asked for money this year, as he’s saving for a new laptop. It’s hard to make a cheque exciting to open, so I thought I would put in some extra effort and let his card double up as a piece of artwork. 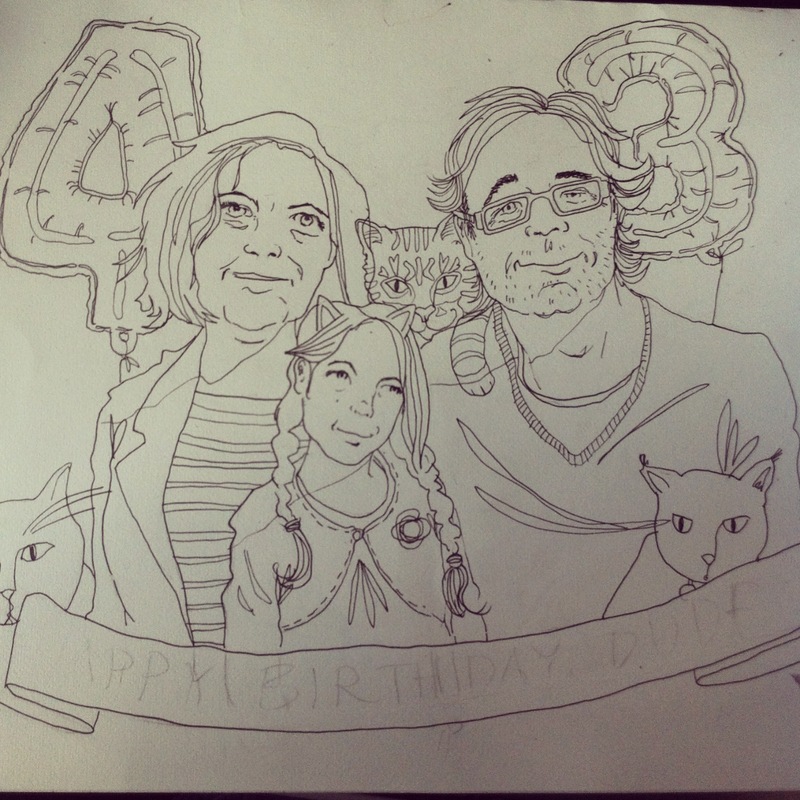 And here it is before I added the colour. 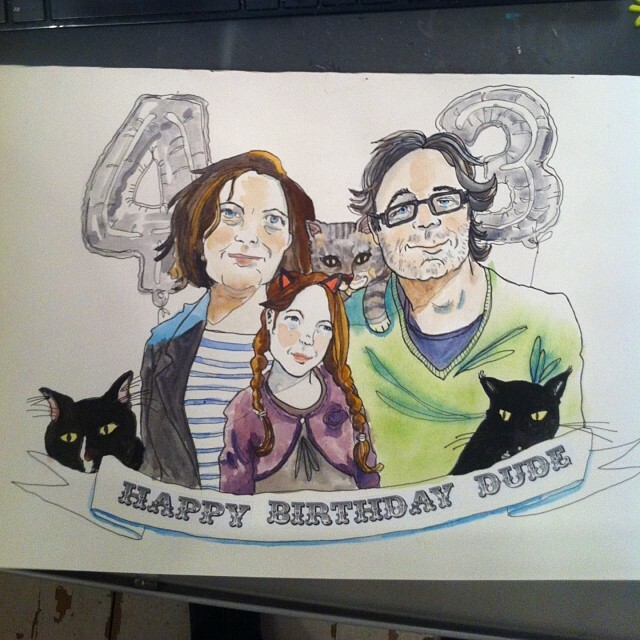 I think the likenesses were very slightly better before I put the colour on, but ah well, never mind. The dude in question didn’t seem to mind. And now, maybe I can return to my normally scheduled artwork… until Valentine’s Day. We too have two birthdays within days of Christmas. Today we celebrated a belated 90th for my uncle – his actual day is 2nd Jan. It does get expensive, doesn’t it! 90 is good going! And gosh yes, it gets expensive. I am looking forward to a few months with no major events, and so is my bank account.